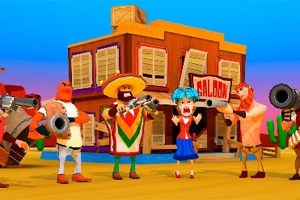 Evil bandits kidnapped hostages and are keeping them in The Saloon. Only you can save them! Reload your gun and shoot up all bandits with their bosses!